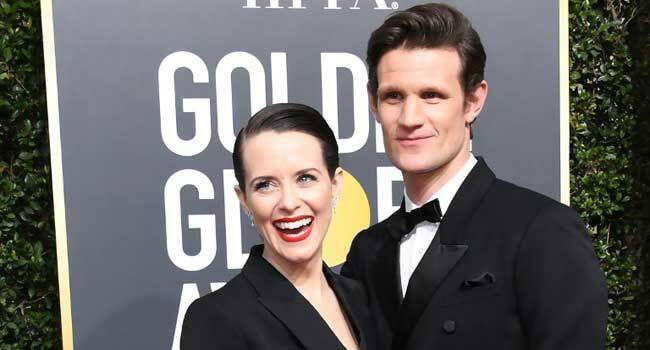 The producers of the hit Netflix royal saga “The Crown” apologised Tuesday over the firestorm that erupted after it emerged that Claire Foy was paid less than co-star Matt Smith. But the statement stopped short of admitting that Foy had been treated unfairly, or of offering to redress the balance with a retrospective bonus for the actress, who played Queen Elizabeth II in the British royal saga. “We want to apologize to both Claire Foy and to Matt Smith, brilliant actors and friends, who have found themselves at the centre of a media storm this week through no fault of their own,” the statement from London-based Left Bank Pictures said. The furore erupted last week when producers admitted that Smith, who plays the queen’s husband Prince Philip, negotiated a better deal than Foy because of his perceived higher profile. They did not reveal either salary — Foy’s was put at $40,000 an episode by Variety last year — but told a panel event in Jerusalem that Smith’s 2010-2013 starring role on the BBC’s “Doctor Who” had been the decisive factor. The explanation has not appeased critics who argued that the discrepancy should only have shown up in the first season, before Foy was garlanded with acclaim. The part has earned the 33-year-old British actress a host of award season nominations, including at the BAFTAs, Golden Globes, Emmys and Screen Actors Guild awards. She has won two SAGs and a Globe. An online petition even called on Smith to donate the difference accumulated over two years. Suzanne Mackie, one of the show’s producers, said the discrepancy was being resolved for the third season but that will not benefit Foy. “The Crown,” which costs $7 million an episode to produce, is replacing its leads for the start of filming in July, with Olivia Colman stepping in as the queen and an actor to replace Smith not yet announced. “We understand and appreciate the conversation which is rightly being played out across society and we are absolutely united with the fight for fair pay, free of gender bias, and for a re-balancing of the industry’s treatment of women, both those in front of the camera and for those behind the scenes,” Left Bank said.